Orthodontics objective is to align teeth by modifying their positions in order to improve the appearance and the functionality. Orthodontics can also improve the appearance of the face and the functioning of the jaws and joints. A bad positioning can make the teeth more prone to cavities, promote gum disease, and affect the dental health in general. 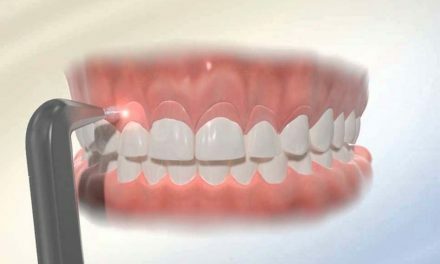 Misaligned teeth can be moved to a better position by exerting a light pressure on them for a few months. 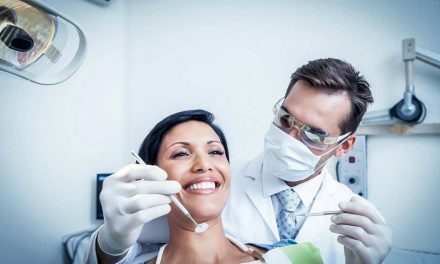 The dentist himself can do orthodontic treatments if he has the competence, otherwise he can entrust the treatments to a specialist, the orthodontist. When a problem involves only misaligned teeth, it only concerns orthodontics and the problem can be fixed by wearing brackets and wires in order to align the teeth (braces). When the problem involves the dimension of the jaws and the relation between them (for example, the lower jaw is much smaller than the top one, or the bottom jaw is advanced compared to the top one), it’s a matter of orthopedic problem. In most cases, orthopedic troubles can be fixed by wearing appliances that correct the proportions of the jaws between them. This is accomplished better when done before or during adolescence, but in some cases, we can correct orthopedic problems at an adult age. In cases where the bad relation between the jaws is extreme, if the problem is not corrected early, only an orthognathic surgery (surgery of the upper or lower maxillary) can straighten the jaws at an adult age. Orthopedic appliances do not necessarily align teeth. An orthodontic treatment can be necessary after an orthopedic one to straighten teeth, generally at the adolescence and even sometimes at an adult age. Removable orthopedic appliance, which is usually equipped with one or many screws to turn, on the upper jaw, lower jaw, or both. It is not fixed on the teeth, and can be removed to be cleaned. It is generally recommended to wear it at least 20 hours a day. Fixed orthopedic appliance, which resembles the removable orthopedic appliance, except it is fixed (stuck) to the teeth and cannot be removed from the mouth. System of brackets and wires (braces), consists of brackets stuck on the front of each tooth, and a metallic wire aligns all the teeth. Invisible orthodontics, a recent technology that consists of aligning the teeth with invisible trays that have to be changed every two to three weeks. Space maintainers, that resemble a removable orthopedic appliance, but without screws to turn. It is more often worn on the upper jaw. Lingual retainer, it is a wire that is stuck on the inner surface of teeth to keep their position after an orthodontic treatment. This wire can stay on the teeth for a lifetime. System of lingual brackets, also a recent technology, and very expensive that consists of placing brackets on the inner surface of teeth so that they don’t show. How to know if an orthodontic treatment is needed? If we see on ourselves or on our child teeth are misaligned, or that a bad relation of the jaws is present, it is recommended to consult a dentist to find out if an orthodontic treatment would be beneficiary. The dentist can do the treatment himself or refer to an orthodontist. Before giving an exact diagnosis of the problem, a complete orthodontic exam must be done by the dentist or the orthodontist. This exam must include impressions of the upper and lower teeth, photographs of the teeth and the face, and x-rays of the jaws including the teeth and the complete head. When the diagnosis is determined, the dentist can evaluate the need of wearing an orthopedic appliance, the system of brackets and wire (braces), or a combination of both. Sometimes an orthodontic treatment must be accompanied by surgery of the teeth or the jaws. Rarely, orthognathic surgery is recommended and is generally done by another specialist surgeon. The time necessary for treatments varies from one person to another. The duration depends of the severity of the problem, of the space available for the teeth, of the degree of misalignment, of the health of the teeth and gums, and of the discipline of the patient to follow the instructions. On average, an orthopedic appliance must be worn between six and twelve months, and a complete orthodontic treatment can last one to three years. When the brackets (braces) are removed, the majority of patients must wear a retainer during at least six months, and in some cases, for a lifetime. Following adjustments done during orthodontic treatments, uncomfort and pain can be felt at the teeth or the mouth. It is recommended to take medications if needed, such as Tylenol. If pain persists a long time, over a week, it is important to speak about it to the dentist or orthodontist. The mechanical procedure of moving the teeth is the same at any age. The beneficial effect of an orthodontic treatment is therefore available for kids, as well as for adults that desire improving their appearance and their chewing. The main difference of the treatment for adults is that it might take a bit more time because the jaws are not growing anymore, and it might need to be accompanied by an orthognathic surgery (surgery of the jaws). One can continue playing sports during the orthodontic treatment. If wearing a removable orthopedic appliance or a space maintainer, it is recommended to remove the appliance while playing sports. 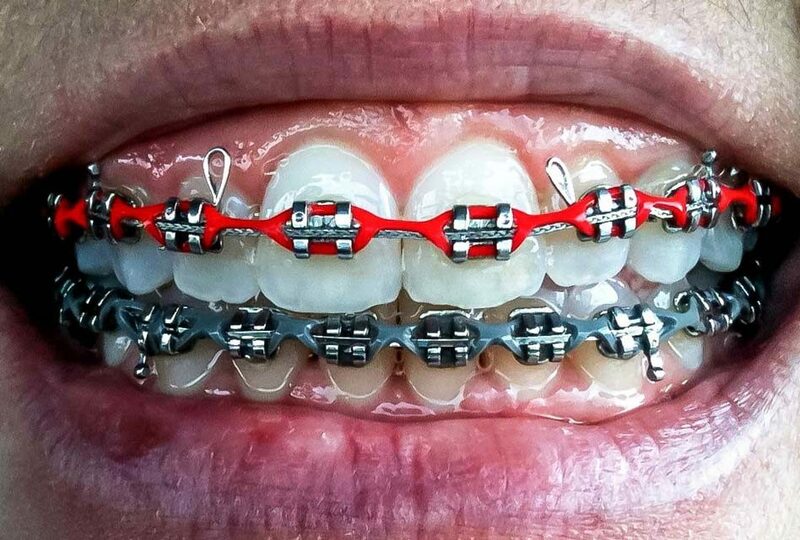 If wearing brackets and a wire (braces), it is recommended to wear a mouth guard when playing contact sports. When the brackets are removed, the dentist or orthodontist can take other x-rays and other impressions of the teeth. If the wisdom teeth start coming out, the dentist can recommend removing them to prevent the aligned teeth from changing positions. A retainer must then be worn with discipline to avoid all relapse. This appliance must be worn at all times during the first six to twelve months, and afterwards, only during bedtime for a few months or years more. 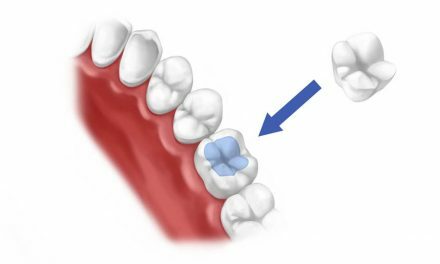 The wear of the retainer is very important, because the teeth that have been aligned are not completely fixed in their new positions until the bone, the gums and the muscles adapt to the change. The price varies between 1,000$ and 10,000$, and this depends on whether it is only an orthopedic or rather a complete orthodontic treatment. 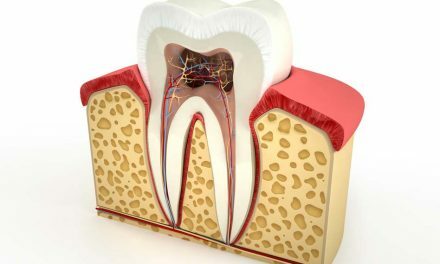 The cost varies also depending on which part of the country we live in, and of the professional (dentist or orthodontist) who does the treatment. Hello Abbas, Italy is a beautiful country, but myself I live in Canada, and concentrate on other dental fields than orthodontics. There are many good dentists and orthodontists in Italy that can help you I am sure! Please tell me what city are you in? It is possible to get braces at any age! Myself I live in Montreal. I am sure there are great dentists and orthodontists in Edmonton that can do your braces treatment.